Klavan, Andrew. 2009. The Last Thing I Remember. Nashville, Tenn.: Thomas Nelson. ISBN: 978595546074. "It was an ordinary day," high schooler Charlie West told himself as he tries to remember. But he doesn't remember much. His memory of what had happened between going to bed one night and waking up to a chair in a torture chamber with bloodied instruments is vague if not completely non-existent. After escaping his mysterious captors only to be caught by police who tell him that he is a convicted murderer of his former best friend one year prior, Charlie is one the run of his life as he tries to piece together what happened. All the while he tries to stop the assassination plot against the Secretary of Homeland security by a secret terrorist organization whose members call Charlie one of their own. Edgar Award-winning author, Klavan's debut Young Adult novel presents a post 9/11 thriller dealing with a terrorist group hidden among the American homelands. Though some readers may find him too clean-cut and all-American for comfort, Charlie brings a patriotic character to the teen boy literature subgenre and brings plenty of action being a black belt in karate. While the narrative may be dry in some areas readers will be caught up in the currently unsolved mystery of what exactly happened to Charlie during that missing year and will leave them waiting for the next book in the new Homelander series to come out. Included in the back are discussions questions that allows for future discussions great for a classroom or library book club setting. *Use the provided questions to encourage discussion about the book and character on top of creating your own. *Allow the readers to comment about their likes and dislikes about the book. Halloween can by fun and exciting as well as cool and creepy. Perfect for a creepy Halloween party, read this poem to begin the festivities. Invite the kids to share their ideas of what Halloween is to them. Is it creepy or is it fun? Also, let them have fun and make a haunting and creepy poem to share. Livingston, Myra Cohn (Sel.). 1989. Halloween Poems. Illus. by Stephen Gammell. NY: Holiday House. ISBN: 0823407624. This is a fun poem to read. Whether it's a for a Halloween party or a fall festival bobbing for apples has become a stable activity to include in the festivities. Be sure to have fun reading the poem, emphasizing the blubing sound of bobbing in the water. Encourage the kids to make the "blub" sounds too! After sharing the poem, invite the kids to take turns bobbing for an apple. Also encourage them to share what type of sounds they hear and make when they do, like the poem illustrates. Cast, P.C. and Kristin Cast. 2007. Marked. NY: St. Martin’s Griffin. ISBN: 9780312360269. Changes in life can be hard, especially if you are unexpectedly “marked” as a fledgling vampyre and have to change schools. Leaving her friends, boyfriend and not-so-nice family behind, Zoey begins her new life as a fledgling at the House of Night to learn to become an adult vampyre. Of course, that is if she makes it through the change, which not all do. On top of a new school and making new friends, Zoey discovers that she has been chosen to have a special connection with the vampyre Goddess Nyx and rapidly develops new powers that fledglings normally don’t have. Life at the House of Nights gets mysterious when she discovers that the leader of the Dark Daughters is misusing her powers and she must set things right. As a mother and daughter team, P.C. and Krisitn Cast’s writing has the exciting and humorous touch of how teenagers would speak and think. Along with the usual dramas of teenage life Marked is also includes with mysteries and great action. The unique touches to the vampires themselves, especially the tattoos they develop as an adult vamp (or in Zoey’s case when the Goddess Nyx is pleased with her actions), their history, and bloodlusts that develops when feeding on others, adds to the new views of vampires in literature. Set in their hometown of Tulsa, OK, the authors also include well-rounded characters who are friends, or enemies, of Zoey and allow references to pop culture to make them more real to the readers. Being the first book of the currently five-book House of Night series about Zoey’s life and continuously unique drama that is full of twists and turns, Marked is growing in popularity and competition among the ranks of vampire literature and is an extremely welcomed addition to the subgenre and will draw the readers in. *Continue to follow Zoey’s story with the other books in the House of Night series: Betrayed, Chosen, Untamed, Hunted and Tempted (coming October 2009). *Have a House of Night event and let the participants create their own tattoos. Techentrup, Britta. 2008. Grumpy Cat. NY: Boxer Books. ISBN: 9781905417698. Cat is grumpy. He sits between his trash cans alone, he eats alone, and he sleeps alone. However, Cat is also a lonely cat as he doesn't know how to join the other cats to play. Then when night, during a thunderstorm that leaves him wet and cold, a Kitten appears. Despite still being grumpy and trying to lose her, all of the brown and black stripped Cat is constantly followed by his new and unwanted friend Kitten. The orange and brown stripped kitten tries to play with him, wiggles her tail under his nose, pulls his tail and shows him her soft tummy. However, Cat is still grumpy until Kitten nearly falls out of a tree. This is a short and simple story of how a friendship is formed that young readers will like. The illustratrions are a combination of bold and soft and are graphically tectured what brings to mind that of other artists like Eric Carle, though less bold and colorful and more realistic. The young readers will like the grumpy look of Cat and the playfullness of Kitten. With the combination of the oversize bookform, lovely illustrations, and the clean text, young readers are sure to enjoy. *Ask the readers if they were ever grumpy until one of their friends came to visit or when a new friend came a long. Edwards, Pamela Duncan. 2008. Dinosaur Starts School. Illus. by Deborah Allwright. Morton Grove, Ill: Albert Whitman & Company. ISBN: 9780807516003. It's the first day of school and Dinosaur, a bright orangey-red Stegosaurus, is full of worry and doesn't want to go. However, his little human companion offers him reassurance. The story is cleverly written through a series of "What if..." questions like "What if you were painting pictures of the sun but Dinosaur made a big mess? What if his bight dinosaur eyes filled with tears and he began to cry?" and "What if it was time for lunch but Dinosaur said in his worried dinosaur voice, 'They might give us something yucky to eat.'" All the while, his friend offers answers to all the questions and makes Dinosaur at ease until they meet new friends another boy with a Triceratops who also are struggling with the first day of school. The illustrations are colorful and charming. All the children wear an array fun, retro style clothes and are an mixture of skin tones and hair styles (the young friend of dinosaur has a cool up-swoop hairdo). The pages are filled with color and action that will equally entertain the readers. This is an endearing story of the first-day-of-school jitters that many children will relate to, especially to those who love dinosaurs or have an imaginary animal friend. 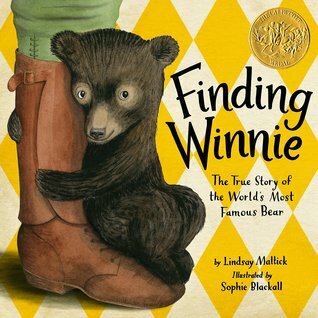 This is a must for all public and school libraries and is perfect for a storytime. *Ask the children if they had a dinosaur who started school, what would you tell them if they were scared? What type of dinosaur would it be? *Other stories about going to school like Wemberly Worried by Kevin Henkes and How do Dinosaurs Go to School? by Jane Yolen and illus. by Mark Teague. Himmelman, John. 2008. Katie Loves the Kittens. NY: Henry Holt & company. ISBN: 9780805086829. When here human, Sara Ann, brings three kittens home, Katie the dog is so excited. Every time she sees them her tail begins to wag uncontrollably and wants to play and howl. However, all of her exuberant attempts to play or even to control herself from eating their food only leave Katie sad for only scaring the kittens and being reprimanded for doing so. Only when she learns to control her excitement does everyone is happy and she begins to make friends with the new additions to the family. Himmelman's story will capture the reader's love and sympathy for the adorable Katie (and the three kittens) all the while the ink and watercolor illustrations add the appeal of the whole book, especially when seeing she become so excited that her wagging tail is a blur and she her body quivers. Katie Loves the Kittens is humorous and charming about excitement, confusion, sadness, self-control and making friends that everyone will love to read and share with others, whether they like cats, dogs, or both! A must for all libraries. *Ask the children if they were ever extremely excited about something or someone that they love. Balliett, Blue. 2004. Chasing Vermeer. Illus. by Brett Helquist. NY: Scholastics Press. ISBN:9780439372947. When a mysterious person claims that some of the paintings attributed to the famed Dutch painter Johannes Vermeer are in fact not his and ultimately steals the painting A Lady Writing while it is transit from one museum to another, two sixth-graders, Calder Pillay and Petra Andalee are on the case. Mystery and intrigue is around every corner as Calder and Petra become friends and begin to find a connection between their free-spirited schoolteacher, a used bookstore owner, an old woman, Calder’s friend Tommy, and even their own parents. Putting together the history and art of a famed 17th century painter, a book about unusual phenomena, use of pentominos, and codes, Balliett’s first novel successfully captures the excitement of a crime solving with a smart and detectives that remind readers of K.L. Konigsburg’s classic From the Mixed-Up Files of Mrs. Basil E. Frankweiler. Helquist’s detailed black and white illustrations are sprinkled throughout the book, which have their own puzzle for readers to solve, and adds to the overall thrilling book. *Read Balliett's other mystery art books: The Wright Three and The Calder Game. DiCamillo, Kate. 2001. The Tiger Rising. Mass: Candlewick Press. ISBN: 0763609110. Life isn’t so great for Rob. When his mother dies, he and his father move to Florida and are staying at the Kentucky Star motel. Plagued by an unusual rash on his legs and the victim of the school bullies, Rob keeps all his emotions deep down inside his “suitcase.” However, one day, hidden in the woods behind the motel, he discovers a real and very large golden tiger locked in a cage. That same day he meets the new girl, Sistine, in his sixth-grade homeroom class. Unlike himself, Sistine has no trouble showing her feelings and her discontent of living in Lister and how she is waiting for her father to take her away. When Rob finally decides to share his secret to Sistine, the ice the two of them breaks and they create a friendship that revolves around the tiger and how to free it. 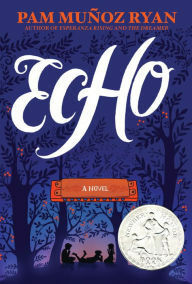 In this brief novel, DiCamillo has captures the strong and real emotions of pain and grief of a boy coping with his with the death of mother and the anger of a girl caught between her parents divorce. Secondary characters like Willie May, a worker at the motel and a wise woman that Rob asks for advice, are not flat and have a life of their own, and the overall narrative and language is very real and descriptive and will draw the readers in to this wonderful Newbery Honor book. Numeroff, Laura. 1998. If You Give a Pig a Pancake. Illus. by Felicia Bond. NY: HarperCollins Publishers. ISBN: 0060266864. Following the now classic If You Give a Mouse a Cookie, Numeroff continues her successful “If You Give…” series with If You Give a Pig a Pancake where an adorable piglet arrives at the home of a young girl at breakfast, whoc give the pig a pancake with some very sticky syrup. Of course, after eating she will need a bath with the bubbles and a rubber duck, which reminds her of the farm and her family. What follows is the comical progression of activities, such as tap dancing, picture taking, building and decorating a tree house, that will end where the story began with a pancake with syrup. Bond’s delightful illustrations wonderfully capture the fun and playful mood of the book, and will keep the readers equally visually entertained as with the text that will build humorous anticipations for all who read. Sure to be as popular as Numeroff’s previous books. *Read more of Numeroff’s books like: If You Take a Mouse to the Movies and If You Take a Mouse to School. *Ask the children would type of food would they give to other animals. *While reading, ask the children if they know what will happen next. Portis, Antoinette. 2006. Not a Box. NY: HarperCollins Publishers. ISBN: 0061123234. When is a box ever just a box? To the little rabbit in Portis’ imaginative picture book, a box is never a box. When an unseen narrator asks questions like “Why are you sitting in a box?” or “Why are you standing on a box?” the rabbit repeatedly replies with “It’s not a box.” Beyond the simple text, the illustrations are the element that creates the book. The bold black lines of Rabbit and his Not-a-Box on a white and tan background is used when Rabbit comes up with a new playful idea, and when the readers turn the back, the backgrounds changes to a pale yellow and red, and in bold red lines, which are superimposed over the previous illustration, will show what the not-a-box has turned into, such as mountain peak or a race car. The playful imagination seen in this fun little book, which itself is covered in brown paper and looks like a box, is reminiscent of Johnson’s Harold and the Purple Crayon and equally fuels the creativity in every young children to think outside of the box. *Read Portis’ other imaginative book Not a Stick and Crockett Johnson’s Harold and the Purple Crayon. *Have a fun craft time and have the children take a small box (e.g. an animal cracker box) and create whatever they think a box is. Slobodkina, Esphyr. 1985 (org. 1947). Caps for Sale: A Tale of a Peddler, Some Monkeys, and Their Monkey Business. NY: Harper&Row. ISBN: 9780201091472. One day when he was unable to sell any of his gray, brown, blue, red caps, a peddler takes a walk into the country. After carefully resting himself against a tree-trunk and making sure that all of his caps were still neatly stacked upon his head he decides to take a nap. When he wakes, however, he discovers his caps are missing, and finds them on the heads of some mischievous monkeys sitting in the tree, and a game of monkey see, monkey do ensues until the peddler gets his caps back. With the unique color combination of black, turquoise, blue, red, and ochre, the stylized illustrations add to Slobodkina’s classic tale, which together presents a wonderful essence of a folktale, and still continues to engage to children (and their parents) of all ages. A great book to share aloud whether at home or at storytime. *When reading aloud have the children help you recite parts of the story. *Cut out circles out of gray, brown, blue, and red felt, and as you read place the “caps” upon your heads. Children can also do this for themselves. Hahn, Mary Downing. 2004. The Old Willis Place. NY: Clarion Books. ISBN: 0618430180. For years twelve-year-old Diana and her ten-year-old brother Georgie knew the rules. They weren’t supposed to go past the gate of the Old Willis Place, not to go into the Willis house, and they were not to make friends with anyone. But when the new caretaker, Mr. Morrison, and his daughter Lissa arrive, Diana wanted to break the rule and be friends. After living wild on the grounds for so long and seeing old caretakers come and go, seeing someone their own age who had a bicycle, many books, and a teddy bear was exciting to Diana and Georgie and brought them back memories of years before. Much to her brother’s disapproval, Diana finally meets Lissa and they form an interesting and mysterious friendship that revolves around the creepy and supposedly haunted Old Willis house. Through the narration of both Diana and Lissa (via her diary entries), readers, along with Lissa, will be piece together the illusive story of Diana and Georgie and what happened in the Willis house with its owner Ms. Lillian Willis. Once again Hahn has written a compelling story of haunting, friendship, and forgiveness that will keep its for ghost stories. CONNECTIONS *Read more of Mary Downing Hahn’s ghost stories: Wait Till Helen Comes, The Doll in the Garden, Time for Andrew, Deep and Dark and Dangerous, All the Lovely Bad Ones. Duprau, Jeanne. 2004. People of Sparks. NY: Random House Inc. ISBN: 9780375828249. Picking up where City of Ember left off, readers follow the Lina and Doon as they and the others from Ember begin their new lives in Sparks, a small town on the surface. They are taught how to build fences and building as well as grow their own food so that the Emberites can go off on their own and establish their own town. As they work, Lina and Doon learn about the world outside of Ember and what had causes for The Builders to build their underground city. However, life quickly becomes more difficult than ever when everyone grows more and more intolerant of the ignorance and selfishness in others and blame is pointed for mishaps that occur. Duprau successfully continues the story of the Emberites journey of learning the truth and hardship about the world beyond their underground home. though the setting itself is a little vague in descriptions in some parts, the characters capture most of the readers attention. Some are simple as in the previous book while others are slightly more complex. People of Sparks is fun, at times thought provoking, and quick read for this interested in the and with only some questions answered while others remain hidden, readers will me looking for the next book in the series. *During book discussions, ask the readers about the differences between Sparks and Ember. How would they have felt if they arrived in a new place and/or received 400 people from an underground place. *Ask the causes leading to the Disaster. Duprau, Jeanne. 2003. City of Ember. NY: Random House Inc. ISBN: 9780375822735. It's the year 241 and the city of Ember is dying. The generator that produces the electricity is breaking down with great frequency, which leaves the city in complete darkness for any amount of time, and food and necessities are running out. As they begin their new jobs, twelve-year-old classmates Lina Mayfeet, Messenger, and Doon Harrow, a pipeworker, quickly learn about more history and truth about their beloved city. When Lina discovers a old torn and chewed-up document from the time of "The Builders" that may be instructions on how to leave Ember, she and Doon are under the watchful eye of the corrupt mayor and his friends. With the city near ruins, the two make the decision to try the escape route that may or may not lead them to the world outside of Ember. In her debute novel, Duprau has created a fun novel that is a combination of adventure and mystery wrapped up a post-apocalyptic setting. The characters are simple yet well-rounded and the readers will relate their thoughts and feelings. An excellent quick read for all to enjoy. *Have a compare-contrast reading discussion with similar books like The Giver by Lois Lowry. *Have a movie book and movie night where, after reading the book, have a discussion on how well the movie reflects the book. Hahn, Mary Downing. 2007. Deep and Dark and Dangerous: A Ghost Story. NY: Clarion Books. ISBN: 9780618665457. When Ali is invited to stay the summer with her Aunt Dulcie and her four-year-old cousin Emma at Gull Cottage she jumps at the chance, despite the fact that her overprotective and depressed mother dislikes the idea. Staying at the lake house where her mother and aunt vacationed at as kids, thirteen-year-old Ali unearths a thirty-year-old mysterious drowning of a girl named Teresa that begins with a torn photographs. While her aunt spends time in a studio painting, Ali and Emma meet Sissy, a prickly and annoying local girl who hints at a dark secret and who becomes a bad influence on Emma. As she continues to visit the girls and talk about Teresa, Sissy makes the summer dark, difficult and dangerous. Hahn is in fine form as she explores the story of a girl's apparent death (other words) from decades past that comes back to literally haunt the children of those closes to the truth. The characters are real and believable, though Emma seems to be more mature than her age. The mystery in the story grabs the readers and draws them in. A great read for a summer night or any time. *Read more of Mary Downing Hahn's ghost stories: Wait Till Helen Comes: A Ghost Story, The Doll in the Garden: A Ghost Story, Promises to the Dead, The Old Willis Place: A Ghost Story, and All the Lovely Bad Ones: A Ghost Story. *Invite discussions by asking questions like: Did anyone begin to suspect that Sissy was someone else pivotal to the mystery at Gull Cottage? How and why? Why do you think that Claire and Dulcie kept the mystery a secret? The End of the Final Semester! The final semester of my studies in Library Science has ended. It was wonderfully successfully and exciting. I hope that you have enjoyed reading my book reviews and poetry breaks for the last few months. Now that I am a Children's Librarian this blog will be morphing only in the sense that the reviews, poetry breaks, and anything else that I will post will not be for a course but for my personal enjoyment as well as yours. Please come and visit The Wielded Pen - Children's Corner in the future and discover about the great books that I have come across! This is a bibliography of all the books that I used when creating my poetry breaks and book reviews for the Library Science course LS 5665.20 – Poetry for Children and Young Adults. Enjoy exploring these great books! Fletcher, Ralph. 2006. Moving Day. Illus. by Jennifer Emery. Honesdale, Penn: Wordsong. ISBN: 9781590783399. Florian, Douglas. 2006. Handsprings. NY: Greenwillow Books/HarperCollins Publishers. ISBN: 978006009280. Grimes, Nikki. 2006. Thanks A Million. Illus. by Gozbi A. Cabrera. ISBN: 9780688172930. –––––––. 1990. Good Books, Good Times!. Illus. by Harvey Stevenson. ISBN: 0060225270. Janeczko, Paul B. 2005. A Kick in the Head. Illus. by Chris Raschka. Cambridge, Mass: Candlewick Press. ISBNL: 0763606626. –––––––. 1998. That Sweet Diamond: Baseball Poems. Illus. by Carole Katchen. NY: Antheneum Books for Young Readers. ISBN: 068980735X. MacLachlan, Patricia and Emily MacLachlan Charest. 2006. Once I Ate a Pie. Illus. by Katy Schneider. NY: Joanna Cotler Books (HarperCollinsPublishers). ISBN: 9780060735319. Moore, Lilian. 2006. Beware, Take Care. Illus. by Howard Fine. NY: Henry Holt and Company, Inc. ISBN: 0805069178. Mora, Pat. 2001. Love to Mamá: A Tribute to Mothers. Illus. by Paula S. Barragán M. NY: Lee & Low Books Inc. ISBN: 1584300191. Nye, Naomi Shihab. 2000. Salting the Ocean: 100 Poems by Young Poems. Illus. by Ahsley Bryan. 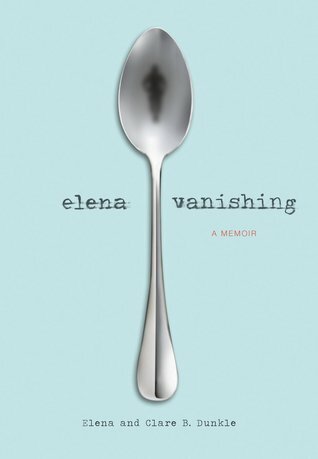 NY: Greenwillow Books (HarperCollinsPublishers). ISBN: 0688161936. Weisburd, Stefi. 2008. Barefoot: Poems for Naked Feet. Illus. by Lori McElrath-Eslick. Honesdale, Penn: Wordsong. ISBN: 9781590783061. Art goes hand-in-hand with poetry. Poetry can beautiful describe a specific work of art, view art in a new way, and to learn a new way to meet an artists. This poem, written by a child of an unknown age, simply describes what a famous sculptor did. Prepare for this poem by finding other poetry books about art like Heart to Heart: New Poems Inspired by Twentieth-Century American Art compiled by Jan Greenberg, Celebrating America: A Collection of Poems and Images of the American Spirit compiled by Laura Whipple, and Words with Wings: A Treasury of African-American Poetry and Art compiled by Belinda Rochelle, and artists and books with great colored photographs of works of art. In connection with this poem, share with the children of who Michelangelo is and show photographs of his work. Also, have the children find an artist that they like and, after learning about them, have them write a bio-poem about the artist. Have the children find a specific work of art that they like have them write a poem about that artwork. Janeczko, Paul B. 1998. That Sweet Diamond: Baseball Poems. Illus. by Carole Katchen. 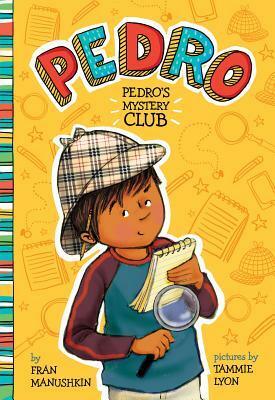 NY: Antheneum Books for Young Readers. ISBN: 9780689807350. The sights, sounds, taste, emotions and the fun of the baseball are celebrated in this great collection of poems. Other poems from the stands range from the “Things to do during a rain delay” that is written from the point of view of a young fan who builds castles with used paper cups and holding the umbrella in the right spot that the rain drops on the neck of the man sitting in front of you to the vendors who sell peanuts, sodas in waxy cups, and ice cream. Among the poems about the fans and the happenings within the stadium, there are vignette-like poems about the players and officials like the poem “Catcher sings the blues” describes the catcher’s blues of achy knees, fingers, and crouching low. This poem has repeated couplets in each of the four stanzas that is great for children to repeat or even sing as a way to participate in reading the poem. Finally, the sport itself is highlighted when poems about specific plays in the game that ranges from a foul ball, a double play, and a play at home plate and also a poem about the secret signs that the players use to communicate and the nicknames that the players have. Dance a jig in stormy weather. Hurler, may you lose your hum. The poems are given a two-page spread. One page is for the poem that is surrounded by a page border and the other for Katchen’s illustrations. The illustrations are loosely drawn with colored chalk crayons show the poems subjects in an artistic way that beautifully matches and never distracts from the poetry. Reader will in enjoy looking at accompanying artwork and study their soft details as much as reading the poems. With the combination of great original poems and the accompany illustrations That Sweet Diamond: Baseball Poems is a great collection of poems that can be shared at the beginning of the baseball season and all summer long. *For more poems about baseball read and share books like At the Crack of the Bat by Lillian Morrison and Diamond Life: Baseball Sights, Sounds, and Swings by Charles R. Smith Jr.
*Invite the children to share their baseball experience and what they like about the sport. *Have the children write their own poems about baseball. blowing across a dusty road. wherever the wind might take them. ……………….blowing across a dusty road. Invite the children to share any of their experiences of moving from one home to another or of someone they know who moved away. Ask them how they would feel if they were leaving to live in a new place and how they would learn to like their new home. Connecting with the tumbleweed in the poem, ask if there is another way to describe the feeling of not belonging to any particular place. This poem lets the imagination flow as shoes are seen as house for toes. Prepare for sharing this poem by bring in a few pairs of shoes that you own or found at a flea market or have the children bring a shoe (anyone’s shoes) from home. Also, bring other books to share like Nikki Grimes’ Shoe Magic. Invite children to bring a shoe from home (dad’s shoes, mom’s or a brother or sisters’) or simply use their show, and have them come up with a description of what type of house they would be for the toes that would live in them. Have them create their own little poem for the description and include a nice picture of the shoe. From their point of views, thirteen poems highlight the fun, loving and mischievous life of dogs. “You will chase snowflakes in winter,” the people tell me. and howl at the full moon." Not now. I am a puppy. To dogs in the prime of their life and finally the books ends with the poem Luke, the old St. Bernard who likes to sleep and dream of when he was young, but he will bark when he wants and will howl at the moon at night. I am not thin, but I am beautiful. When no one is looking, I steal tubs of butter off the table. I take them to the basement to eat in private. Once I ate a PIE. The reader cannot help but read this poem with a deep voice and with a passion, especially at the end with the admittance of once eating a pie. All the poems are great to share with one reader. However, there are also poems that children can help in reading. For example, the poem “Louis” about a little Pomeranian who use to yip but now barks, there is a refrain of “I BARK” that the children can repeat while one reads. There is also the poem for the dogs Tillie and Maude, who are two dogs that look alike but have different personalities and behaviors. The poem is presented in a double page spread, Tillie’s part of the poem is on one page and Maude’s part of the poem is on the second page. This poem is a wonderful opportunity to have two readers read the poem. Schneider’s oil paint illustrations are wonderfully artistic and complement the free-verse poems. The breeds of the dogs are lovingly and accurately presented. The personalities that are seen in the poems are also emulated in the faces and body language of the dogs in the illustrations. For example, the puppy Wupsie says her name is Wupsie but people call her “cute” be cause she covers her eyes with her pays and pretends to sleep. The illustration for the puppy shows her on her back, paws curled and her tongue playfully handing out of her mouth. Another example is Sugar, who sleeps all the time, unless she chases the cat, the illustration shows her in three different sleeping positions. Once I Ate a Pie is a wonderful and loving book about man’s, woman’s, and child’s best friend that is perfect for any school, public, and personal library. Share this poem all year long and especially during the American Humane Association’s Adopt-a-Dog Month of October. *Bring pictures or books of different types of dogs or have children who have dogs at home bring a picture and have the children pick a breed and allow them to write a poem about them. Let the imagine run and let them create a personality for the dog and have them write a poem about them, as in the books. *Read more poetry books about dogs like: Dogku by Andrew Clements and illus. by Rim Bowers, Dog Poems by Dave Crawley and illus. by Tamara Petrosino, and Good Dog by Maya Gottfried and illus. by Robert Rahway Zakanitch. *Have the children find out what the breeds are of the dogs that are seen in the books. This poem comes a great book of poems that are meant to be shared out loud. Use this poem for every occasion from celebrating National Poetry Month to National Library Week or simply when you decide to celebrate books and poetry! Have the children repeat the refrain “Books are good!/Books are great!/I want books!/I WILL NOT WAIT!”. Invite the children to use the refrain to start their own poem about the different types of books that they like read and discover at the library. Bagert, Brod. 2007. Shout! : Little Poems that Roar. Illus. by Sachiko Yoshikawa. NY: Dial Books for Young Readers. ISBN: 9780803729728. These two poems are a must-read-together pair. Spring is the one season where everything begins to wake up and come to life again after a cold winter. Many great things come with spring; however, sometimes a great thing can also be a little problematic. Prepare for the poetry break with a collection of other poetry books that talks about the seasons, fun activities, and even the holidays that occur in the springtime. A fun example is Swing Around the Sun by Barbara Juster Esbensen. You can also write down your ideas of why you love or hate spring. I hate that spring goes by too soon. Have the child share what they love and hate about Spring (or any season if you are sharing other poems as well). Why do they love or hate a particular thing about Spring? In addition, have them write down their love/hates in a list form (e.g. a list poem) or have them write a poem about the love/hates and have them illustrate. Florian, Douglas. 2006. Handsprings. NY: Greenwillow Books/HarperCollins Publishers. ISBN: 9780060092801.